There is a high threat from terrorism in Egypt. Terrorists continue to plan and conduct attacks. Further attacks are likely. Most terrorist attacks target the security forces, their facilities and other government buildings. It is also likely that foreign nationals, including business travelers and tourists, will be targeted. Attacks could be indiscriminate and occur without prior warning. There is a threat of kidnapping, particularly in remote desert areas. 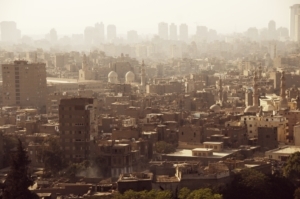 The general crime rate in Egypt is low, but foreign nationals have sometimes suffered armed robberies, muggings, sexual assaults, rapes, break-ins to accommodation and cars, and carjacking’s at gun and knife-point have taken place in areas popular with expatriates and visiting foreigners. Muggings have occurred in taxis. Utilizing secure transportation services can reduce exposure to this risk when in transit. ETS has trusted and vetted local English speaking executive protection specialists and security drivers within Egypt. We are able to operate within Cairo as well as tourist and resort locations. Our teams have access to local information and intelligence to help guide and plan your trip – in particular to avoid any form of demonstration or incident which may disrupt or delay your plans.